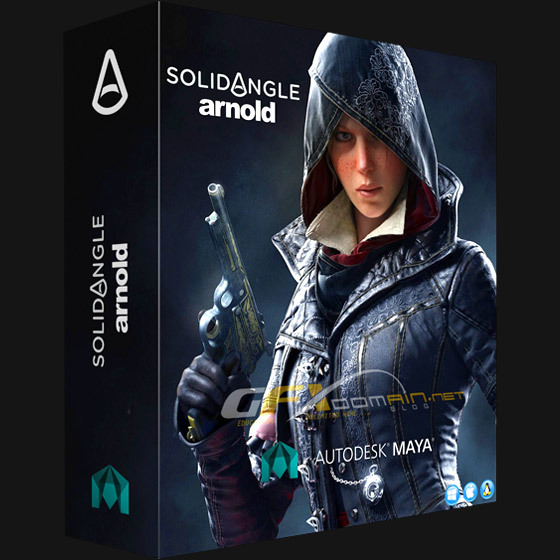 Arnold for Maya (or MtoA) provides a bridge to the Arnold renderer from within the standard Maya interface. Seamless integration with Maya shapes, cameras, lights and shaders. Interactive rendering (IPR) allows parameter changes to be rapidly previewed without interrupting your work. Support for volume rendering with Maya Fluids. Support for Maya Hair and nHair. Particles and nParticles support, including particle instancer. Defer the creation of geometry at render time with the Stand-in placeholder nodes. Productivity boost: override sets, holdout mattes, shadow catcher, passes, UDIM style textures, and arbitrary primvar data. Extensible through plug-ins (Golaem, FumeFX for Maya, Yeti, Shave & Haircut).